Sceenshot (9.11.2018) Website "Documentation project: ‘Attention! Border area - The restricted zone in the GDR, Potsdam 1961-89’"
The bilingual website is a long-term cooperation project of the Federal Center for Civic Education, the Center for Contemporary History Potsdam and German Radio (Deutschlandradio). On the basis of so far partially unpublished documents, film and sound material, photographs and interviews with main actors as well as own research, the dramatic events during the construction and fall of the Wall up to the political unification of Germany are reconstructed and illustrated as well as the most important stations of German division shown. 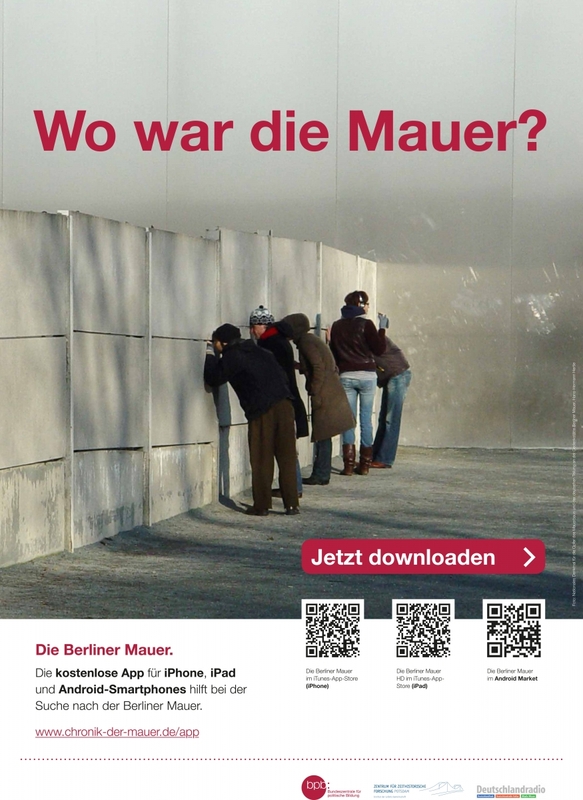 The website www.chronik-der-mauer.de and the “Berlin Wall”-apps are constantly revised, updated and extended. This collaborative project between the ZZF and the association Memorial Sites at the Potsdam Border pursues the aim – in preparation for an exhibition – of developing for the period from 1945 to 1990 a professionally-sound documentation on this section of the Berlin-Brandenburg Wall north of the Glienicke Bridge, which is of historical relevance and likewise highly interesting for the public. It is edited by Florentine Schmidtmann, associated doctoral student at the ZZF, and funded by the Ministry of Sciences, Research and Cultural Affairs of the Brandenburg federal state. A history trail with eight steles between Glienicker bridge and the post tower of the water border crossing Nedlitz at the end of the Bertinistraße will inform from 2019 on. The Internet-Portal www.grenze-potsdam.de is already unlocked with in-depth information as well as image, audio and video material about the former border area in German and English.